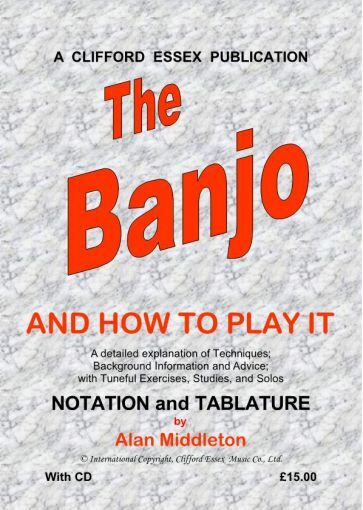 Location: /Clifford Essex Publications/THE BANJO AND HOW TO PLAY IT. BY ALAN MIDDLETON. THE BANJO TUTOR FOR THE 21st CENTURY. WITH CD. At last - a banjo tutor for the 21st Century! All this and a CD illustrating how it should be done! Whether you want to play classic, fingerstyle banjo or bluegrass, this book will give you the flying start you need. Alan Middleton has produced an absolute gem of a book, perfect for self-study or work with a teacher.